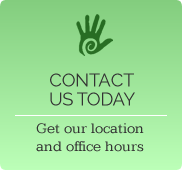 We make it easy for you to visit us by offering a free consultation. Call us at (904) 996-8660 today! We begin with a complimentary consultation. 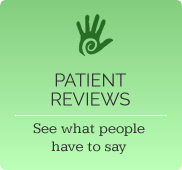 During the consultation, we will learn more about you and your health. Then, we will explain what we do at our office and how we may be able to help you. We will explain the entire process upfront. This way you will know exactly what service we provide and if it’s a right fit for your situation before you invest your money in our office. There are no surprises. And of course, we will answer any questions that you may have. Our complete examination is a thorough analysis that will be performed by the doctors, not an assistant. The examination includes: computerized digital structural spinographic radiographs, leg length inequality measure, and any necessary neurological/orthopedic tests. The doctors will need adequate time to study the results of your tests. Therefore, the first Spinal Correction will be scheduled on a follow-up visit. The adjustments at Deerwood Lake Chiropractic are gentle, safe, and effective. Each adjustment is tailor-made for each person. No two people get the same adjustment. Depending on your specific condition, the doctors will be able to estimate how long it will take to completely correct the problem. The patient and any other person responsible for payment has the right to refuse to pay, cancel payment or be reimbursed for payment for any other service, examination, or treatment which is performed as a result of and within 72 hours of responding to the advertisement for the free, discounted fee or reduced fee service, examination or treatment. This offer not valid under Medicare, Medicaid, or any other federal or state program.